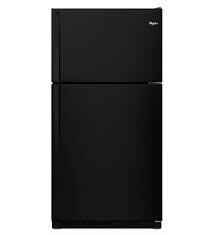 Keep your food fresh and organized with Whirlpool’s bottom-freezer refrigerator. Within the refrigerator are four spill safe cantilever shelves, two crisper bins, four adjustable door bins, and two fixed door bins. The freezer contains two full width sliding baskets and an ice maker. LED lighting makes it easy to see fresh and frozen food. It puts a spotlight on food and casts a more natural light on the contents of your refrigerator so food looks as it should.Extend the freshness of produce up to four days longer with the FreshFlow produce preserver. A filter absorbs excess ethylene gas that causes fruit and vegetables, like lettuce and cantaloupe, to spoil. The Accu-Chill Temperature management system senses and adapts the temperature to create the ideal environment for food storage. Adaptive Defrost senses and adapts, running the defrost cycle only when necessary. 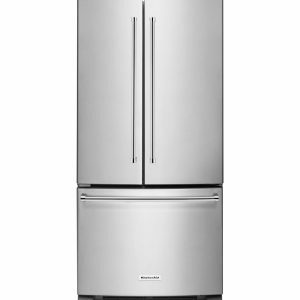 This Energy Star Qualified refrigerator will keep your energy costs down while sustaining efficient refrigeration solutions. Save energy and cool your food quickly with this model’s temperature management system. This intuitive system senses and adapts using built-in sensors to measure the internal temperature. Activates the compressor only when necessary, delivering efficient cooling performance. Contains spills and simplifies cleanup, preventing liquids from leaking onto shelves below. Easily organize and access frozen items with the convenient freezer drawer. Adaptive Defrost senses and adapts to help save energy. Provides improved food preservation by running the defrost cycle only when necessary. Sensors monitor how often the compressor operates, as well as when the doors are opened to help determine when a defrost cycle is necessary. LED lighting makes it easy to see fresh and frozen food. 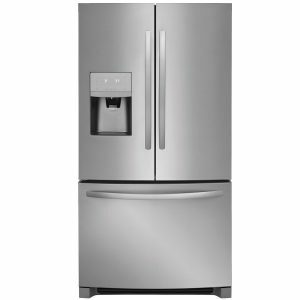 It puts a spotlight on food and casts a more natural light on the contents of your refrigerator so food looks as it should. 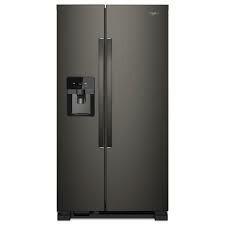 Energy Star qualified refrigerators exceed federal minimum standards to conserve natural resources. Helps save money on utility bills. These eco-friendly appliances are better for the environment and your wallet. 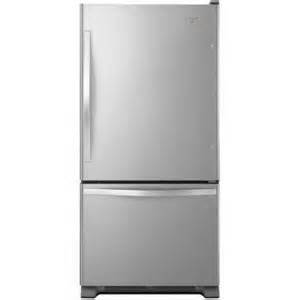 Select Whirlpool French door and bottom-freezer refrigerators are built with American pride and designed, engineered and assembled in the U.S.A.